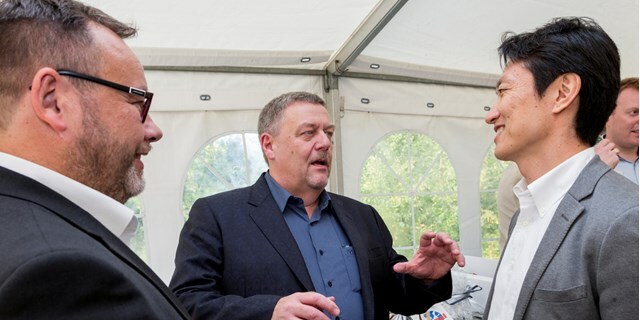 K2 Management was founded by Lars K Hammershøj and Per K Melgaard in Aarhus, Denmark, with a common goal of delivering independent technical advice to the energy sector. A surge of contract wins saw K2 Management expand from its native Denmark to open offices in Hamburg, Germany; Boston, USA and Chelmsford (now Glasgow and Bristol), UK. K2 Management secured its first US offshore mandate as Owner's Engineer and Project Development Advisor for Cape Wind. This was the first foray into offshore wind for the US market - a fantastically interesting project to work on. In response to demand from new markets, K2 Management expanded into Sao Paulo, Brazil; Taipei, Taiwan; Seoul, South Korea and Johannesburg, South Africa, bring the total number of offices to eight in just six years of operating. 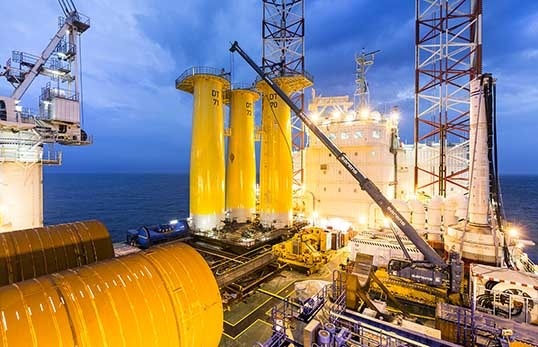 The first big offshore owner's engineer mandate was secured in 2013, after Highland Group awarded K2 Management the role on its Deutsche Bucht project in the German North Sea. Financial close on Veja Mate in the German North Sea - appointed in 2009 as lender's engineer, we went on to complete the full owner's engineer scope until the project became operational in 2017. Following market growth, incentives and sustainable energy policies being developed in many parts of Asia, K2 Management opened an Asian hub in Bangkok, Thailand to pursue and support the development of renewables in these countries. In 2016, we expanded into Cork, Ireland to support the UK team now located in Glasgow, Scotland and to deliver support to projects across Ireland. K2 Management acquired global yield analysis consultancy, Prevailing. Founded in 2009, the company has been involved in over 1,200 projects in over 30 countries. After working on the project for two years, Deutsche Bucht reached financial close in summer 2017, followed closely by the award of a new contract. K2 Management was awarded a lump sum service agreement for full scope construction management services on the €1.2bn project. After 10 years as wind specialists, K2 Management is expanding its technical and project management services to support solar PV projects, diversifying due to client requirements and market demand. In September of 2018, we agreed to acquire independent energy engineering consultancy, Cruz Atcheson. Founded in 2015, Cruz Atcheson specialized in three key areas in the wave, tidal and floating wind sector: concept design, due diligence support and project development. The acquisition marks K2 Management’s entry into the wave, tidal and floating wind sector. We have built up long-standing relationships with wind farm developers, operators and investors globally, working both to supplement their internal technical capability – providing analysis, advice and support as their projects progress – and also in an independent capacity for project financing. Working with ESB Wind Development since 2009, we have provided a range of services on over 500 MW of in-development and operational projects in Ireland and the UK. The proposed 38-turbine Grousemount project in Ireland is significant because of its size, location, mountainous terrain and a number of complex constraints. We have provided ongoing support throughout the development process – from layout design and monitoring advice, to noise modelling and financial-grade energy yield assessment. The project is situated in mountainous terrain east of Kenmare in Co. Kerry. Due to restrictions regarding visual impact, many of the turbines are situated at lower elevations than the surrounding terrain, and consequently wind flow conditions across the site are challenging. was used to micro-site turbine locations and hence maximise energy yield. We presented CFD results to the client’s technical team with an interactive fly-through to ensure our findings were fully integrated into their layout design process. The same CFD results were later used to improve predictions of wind speed and turbine performance across the site. Further support to the development team was provided through optimisation of noise constraint schemes for the project. Our in-house developed software selects optimal turbine operational modes, so that noise limits are met with minimal loss of energy. 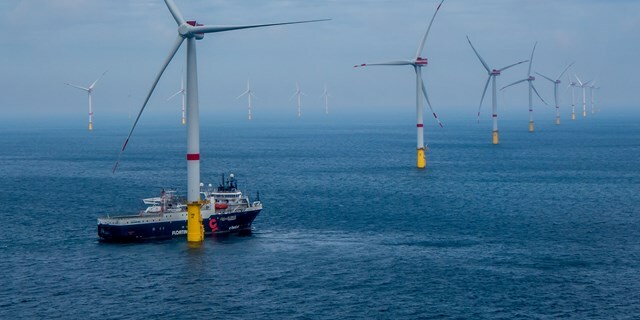 With a long history of involvement in Butendiek, K2 Management supported ITOCHU Corporation in its 22.5% equity interest investment into the 288 MW wind farm – ITOCHU's first investment in European offshore wind. 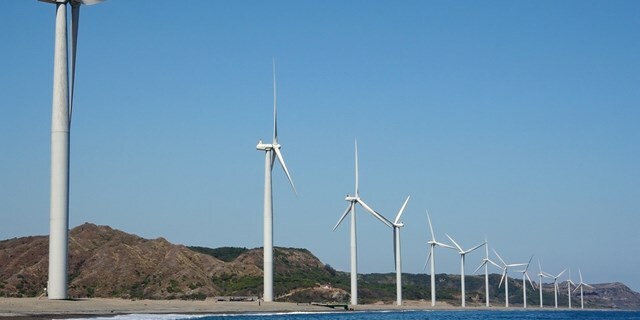 K2 Management provided technical and wind due diligence on the transaction, focusing on performance and technology, project life and long-term OpEx and O&M strategy. Simon Luby, Head of Global Due Diligence at K2 Management, said: “Working with ITOCHU Corporation on this transaction was a pleasure and our close working relationship is one of the key drivers of success for all the work we deliver for ITOCHU.